Home Other Meats: Chorizos, Andouille, Salpicao and Kielbasa Gaspars Kielbasa 1 lb. 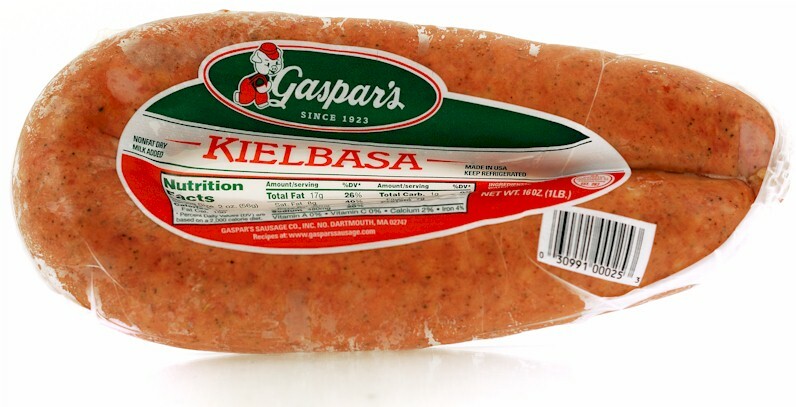 Gaspars premium quality authentic recipe kielbasa. Nonfat dry milk added. Gaspars uses quality cuts of meats. Great for grilling and sandwiches. Ingredients: pork, beef, water, nonfat dry milk, salt, spices, garlic, sodium nitrite.